0.3MP front-facing and 5MP rear-facing camera. On the gaming front, the Tablet S has two aces up its sleeve. First, you'll be able to control your PS3 with it – though it's unclear whether this will extend to in-game controls. And second, as we were already aware, it'll be PlayStation-certified like the Xperia Play, meaning you'll be able to play PS1 games on it. 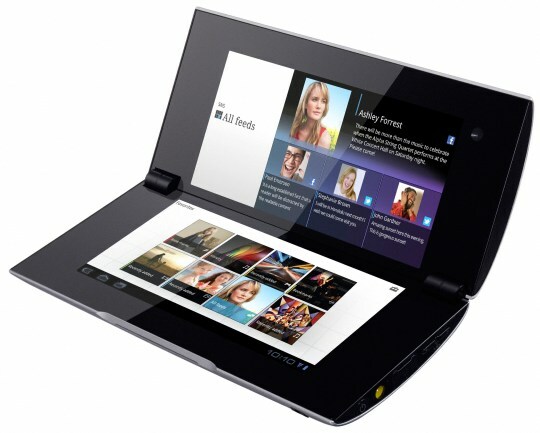 The clamshell Tablet P will have two 5.5-inch screens and in its closed form will slightly resemble a PS3 slim. 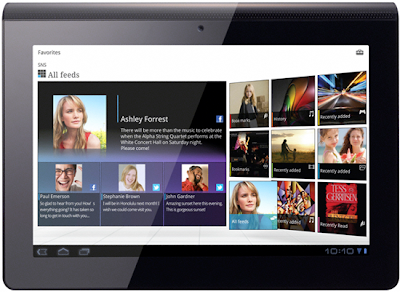 It'll also have 4GB of memory, two cameras, a 1GHz Tegra processor, and the same TruBlack and Bravia display technology as the Sony S.
The two tablets also feature Sony's TruBlack technology; by controlling the refraction of light between the LCD and the screen, display reduces reflection and glare from sunlight or fluorescent light which means you should enjoy high contrast viewing whether in bright sunlight or not. The company also talked about launch prices of the two Android devices for the first time, revealing that The Tablet S (the one that features a 9.4 inch display) should be launched in the US in September for $499.99 (the 16GB version), or $599.99 (the 32GB version). The device will also hit Europe the same month starting at €479.The Tablet P (the one with two 5.5 inch screens) will arrive in Europe sometime in November for €599. 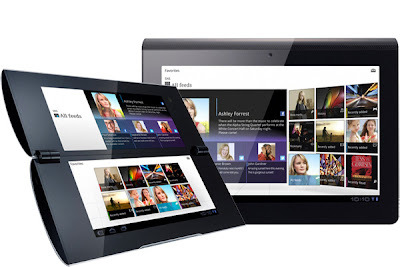 0 Respones to "Sony Announced Tablet P and Tablet S Prices [Review]"